The no-fuss, no-wastage, smart book wrap. 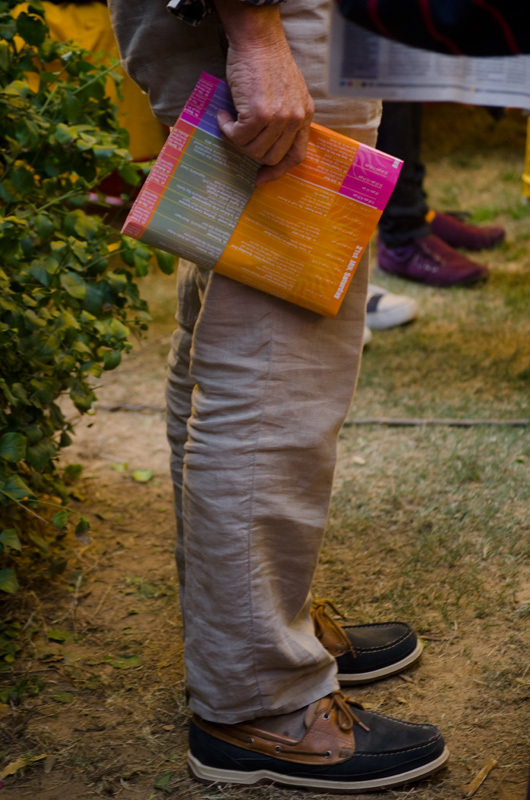 What we liked about this one is that the gentleman in the picture has used the program schedule of the Jaipur Lit Fest (where he is) to wrap his notebook. Via, Wearabout.